At Apple FM we are by no means the new kids on the block. We have been going for 50 years now and started life as Radio Taunton based at Taunton Technical college. The station moved to Musgrove Park Hospital and became Taunton Hospital Broadcasting Service – broadcasting programmes in the evenings for most of that time to patients within the Hospital. 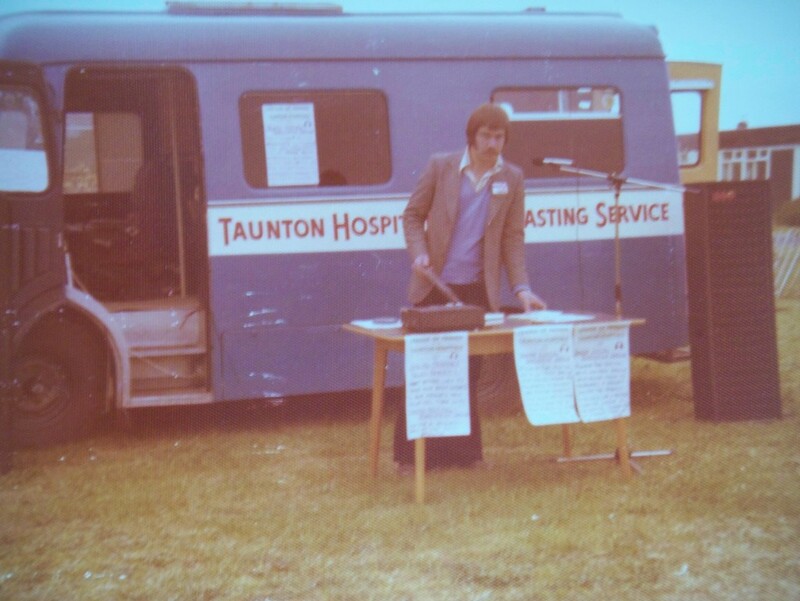 We went on to become T.H.R (Taunton Hospital Radio). We have changed quite a lot from those early days. Once broadcasting from the back of an old ambulance (pictured above), we enjoyed the luxury of a small hut on hospital grounds for many years. It was only in the year 2000, 31 years away from our birth in 1969, that we finally moved into the brand new studio inside the hospital itself, at the entrance to the Duchess building. In July 2001 we launched our new 24-hour service enabling us to broadcast around the clock, everyday of the year. In May 2004 T.H.R became Apple AM as we launched our service on 1431 medium wave. 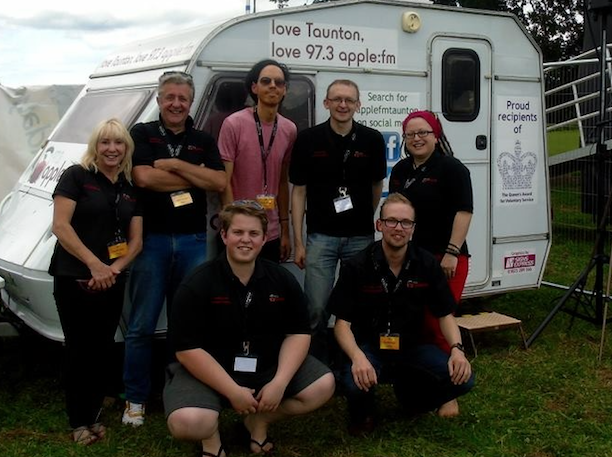 In April 2012, after applying for a community radio licence, OFCOM announced that we had been granted an FM licence and we would become Apple FM. We launched Apple FM on 11th May 2013. We truly believe we are not like any other radio station. Our presenters are not told what music to play via playlists and they are not given scripts to read. This allows our presenters to let their own personalities shine through to offer something really unique. Throughout the week we cater for all musical genres with around 40 different shows delivered by over 30 presenters. We are committed to keeping it local and bring you lots of local news together with local weather and travel bulletins. This is especially the case during our Breakfast and Drive-Time shows on weekdays between 7-9am and 4-6pm. Check out our full schedule here. In 2015 we were incredibly humbled and proud to be awarded the Queens Award For Voluntary Service. This is the highest honour for any organisation and is equivalent to an MBE. We were invited to a garden party at Buckingham Palace and were later awarded our certificate and real crystal trophy at a presentation at County Hall in Taunton where the Lord Lieutenant Of Somerset presented us with the award. Since then we have also been nominated for a national radio award for our 16 hours of live coverage from the 2015 Taunton Flower Show. You can catch the team, with our mobile studio, at many local events throughout the year. Notably we always get involved with the Taunton Marathon, the Taunton Flower Show and local Carnivals. We also broadcast live from, local music festivals, Rock On The Green and Sheppyfest during the summer. In December 2015, we also hosted the Christmas Light Switch-On ceremony in Taunton Town Centre. We are always looking for new volunteers. Whether you fancy presenting a show, helping with events or many other numerous jobs then please do get in touch. Our volunteers find working for us very rewarding as it gives them an opportunity to give something back to their community. Click here for more details about joining the team.